Recently we have added ability for authors to add audio comment to grabillas (screenshot, video, file, etc.). When you click on Add audio comment button under screenshot or video, your browser will ask permission to access your microphone. 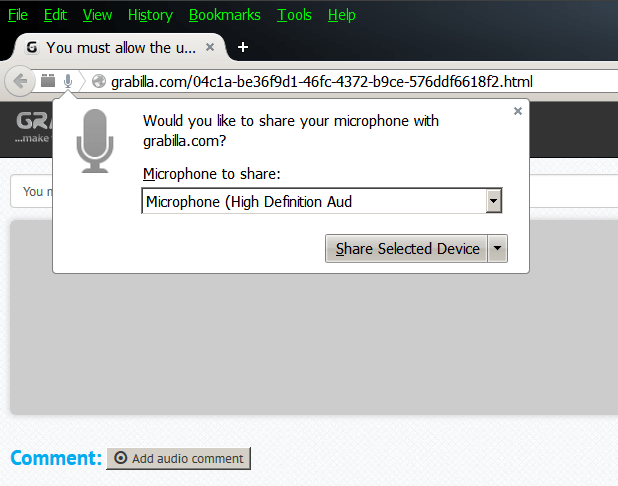 http://grabilla.com/ wants to use your microphone. Press Allow button. You must allow the use of your microphone before recording audio comment. You may notice that Chrome will ask for permissions each time when you try to add a comment. That’s because if you select Allow on a “http://” URL your preference will not be remembered in future visits. If you select Allow on a “https://” URL, your preference will be remembered in future visits. Press Share Selected Device button. How to remove already blocked microphone access? But what to do, when you accidentally blocked access to the microphone or just changed your mind and want to add voice comment? 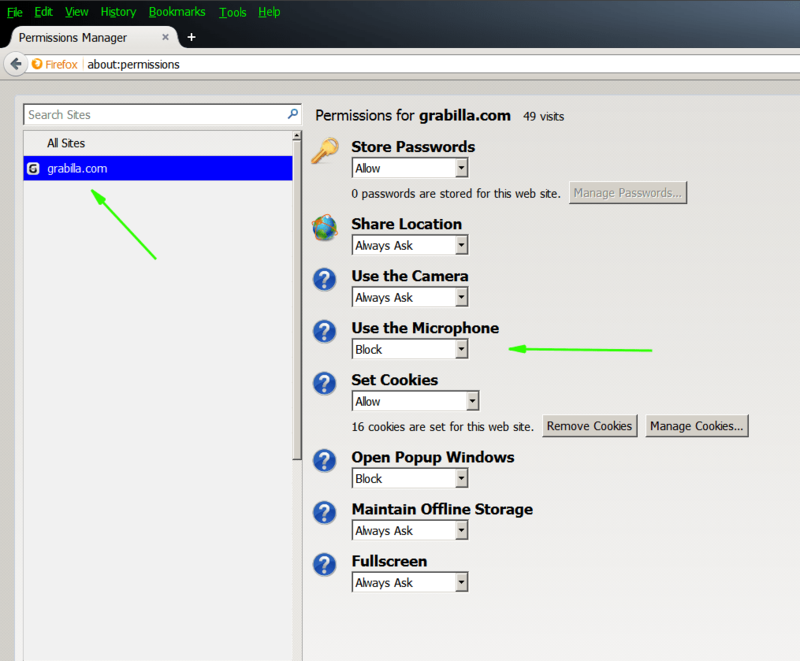 Click on Manage exceptions button, then remove Grabilla website from exceptions. 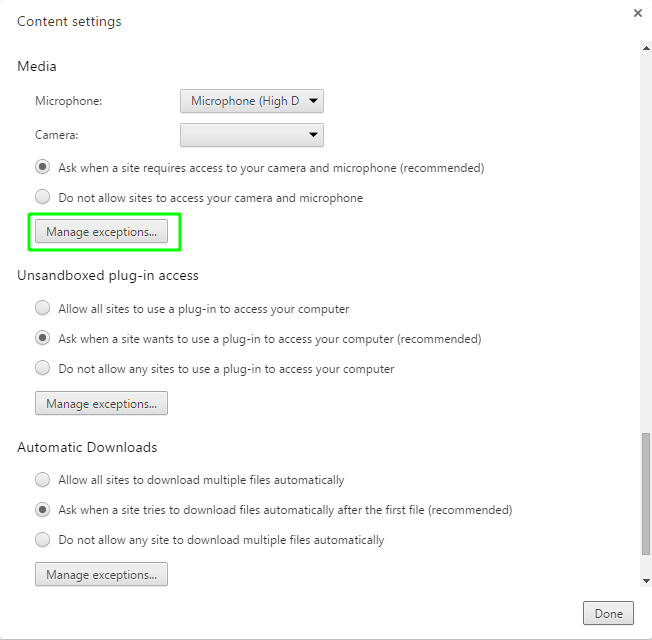 Chrome support article about microphone access. Paste this – about:permissions – in address tab and press enter. You will get to Firefox permissions page. Change Use the Microphone to Allow. That’s it. Changes will be saved automatically. 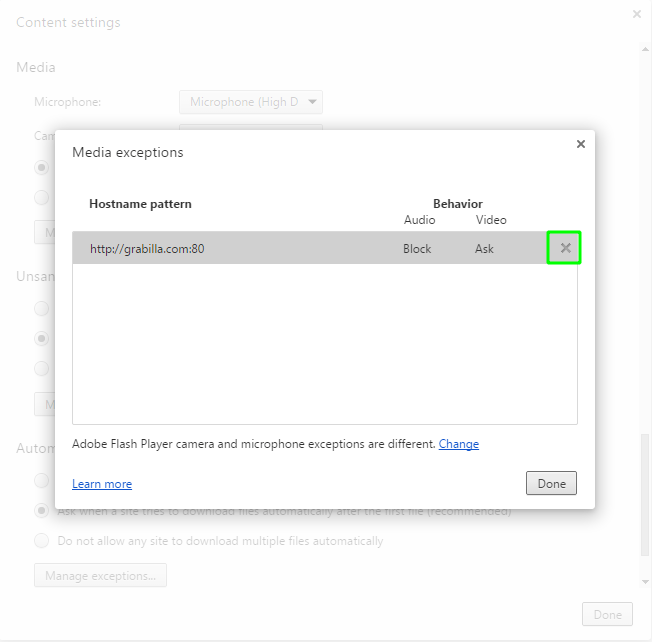 Firefox support article about microphone access.